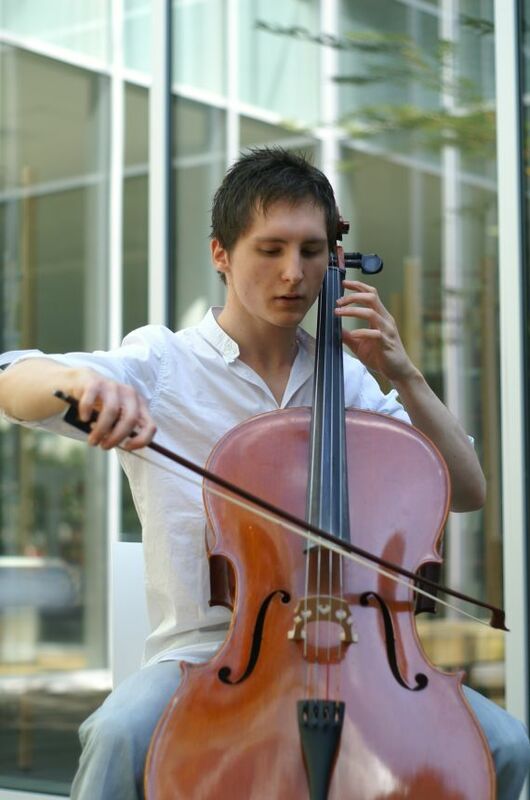 -Cello: My specialty is obviously cello playing and recording, so don't hesitate to contact me if you need some tracks; if you have a written part for me I will gladly follow it but otherwise it's fine, I mostly work without any previous arrangement. -String ensemble: Should you need a bigger cello ensemble kind of feel, I can also record multiple tracks to get a bigger feeling and beef up the mix a little bit. -String arrangement: Working both as a cellist and a composer gave me the opportunity to develop my skills as an arranger, meaning that I can also write a set of harmonies, tremolos and/or staccatos to be used in your song, so as to accompany and enhance a melody or emphasize a groove for instance. My education as a cellist allows me to write striking melodies and pretty counterpoints, that's what I do best! -Male singer: I sing in several bands and use my voice as an instrument in different projects (theatre and films), all the while writing my own songs in both languages (English and French). Songwriter at your disposal if you need one! -Pop-rock arranger: With many musical productions now officially published I have an experience in arranging catchy, pretty tunes in various styles (from Gainsbourg-like ballad to upbeat pop air). Don't hesitate to check my SoundCloud if you wish to hear more of it and see if that's what you require for your song! Yann provided me with some layered cello parts for our acoustic guitar-based, singer/songwriter type of song. He did a great job and incorporated passion into the tracks, while capturing a really good cello sound. Overall, a great outcome! Yann is a genius and, if you don't choose him, then I think you are dumb. Working with Yann was a great experience and he went above and beyond my expectations and was a great communicator in pinning down what I was looking for. Highly, highly recommend. Incredible Cellist. So much emotion through his playing. Revised my project multiple times without any fuss. I would love to work with him again. I worked a few times now with Yann - he again recorded Cello for a song of mine. Excellent interpretation and a beautiful timbre. Super professional, highly recommended! Sounds great! Would definitely use Yann again. Thanks so much. A great player and really works hard! Yann did a wonderful job! Yann recorded Cello for 3 tracks of mine and we immediately evolved to 5 in total, due to his very high level of professionalism shown in the very first song. Great performance, pitch, interpretation and he also created some improv parts that were just fantastic. Wonderful musician! Yann is a very good cello player he gives you what you need and what you want to hear he is a good listener and a very good heart person !! It was a great experience working with Yann. He has been very kind and helpful. His input to our track was great. Highly recommend. Thanks Yann. 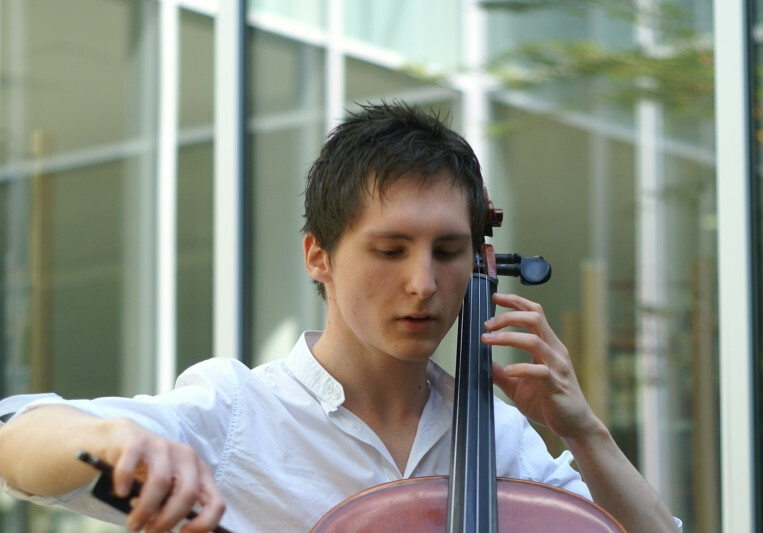 Yann is an extremely talented cellist who will add more beauty to your song and he's a very nice person to work with. 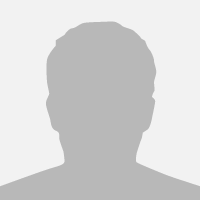 A talented player, very professional to work with and very helpful in giving feedback. Thanks! A: My first natural impulse when picking up the cello is to play in a romantic fashion with lots of vibrato and emotion, but sometimes I also end up hitting the strings with the back of my bow or plucking them underneath the bridge... It depends on the song! A: Difficult choice... Let's say a supergroup with Mike Patton on vocals, Radiohead as the backing band and Jaz Coleman working on the arrangements? A: So far I have worked on genres as diverse as pop-rock, gospel, folk ballads, country, doom metal, experimental jazz and corporate commercials... Each new song is an enriching experience regardless of the genre. The songs I write for myself however are more oriented towards alternative rock with a hint of electro. A: Versatility! Or perhaps my training in both classical and modern music which allows me to grasp the spirit of a song quite rapidly. A: A cello track can easily emphasize the melancholy and sadness inherent to a song. But the instrument itself is very versatile and I am open to new experiences myself! Should your song require a hint of orchestral-like acoustic staccato, or layered harmonies to thicken the mix and enhance the flat sound of synthesizers, or even a full cello quartet to convey an impression of pump (and circumstance...), I will wield my bow according to the spirit of your production. A: It takes me roughly an hour to warm up, then on to the recording I guess... If the song requires it I might use comping as well as it allows for more precision in the arrangement. A: As of yet my studio consists in a Zoom H4 digital recorder, which offers good results for both cello and vocal takes; it is usually linked to my computer (along with external soundcard, Focusrite Saffire Pro) where I process everything using software such as Fruity Loops, SoundForge or Adobe Audition. To this you can add all my instruments: aside from a powerful acoustic cello my house accomodates a Yinfente electric cello, one Dean Hillsboro Bass and an electric guitar made by the French luthiers from Custom 77.